Nature had “taken control” via the hot and dry Diablo winds, known in southern California as the Santa Ana winds, which reached upwards of seventy miles per hour during the fire’s spread. The winds carried the fire from Calistoga southwest into Sonoma County, just north of the city of Santa Rosa for a total distance of twelve miles. Later that year, those same winds, the “strongest and longest” of the season, fanned the flames of the Thomas Fire for ten straight days. Thomas forced over 100,000 Californians to evacuate and prompted the “largest mobilization of fire crews to fight any wildfire in California history”—over 8,500 firefighters. Riding the coattails of the worst fire season ever in California, the Thomas and Tubbs Fires ultimately scorched 6,706 buildings, rampaged across 318,700 acres, claimed twenty-three lives, and became the biggest and most destructive fires in state history, respectively. Unfortunately, 2017 will not likely hold the record of California’s worst fire season for long. In future decades, wildfires will increasingly place Californians’ homes, livelihoods, and lives at risk. Many factors contribute to wildfires, but two in particular greatly contribute to increasing risk: climate change and growing development in the wildland-urban interface (WUI). The effects of climate change are already at work aggravating fire conditions in the Golden State. Last year’s punishing fires coincided with a deadly combination of extremes: drought, rain, and heat. California suffered a historic drought beginning in 2012 that, two years later, scientists found to be more severe than any other in the past 1,200 years. After California finally declared an end to the state of emergency caused by the drought, heavy winter rains spurred rapid vegetation growth. A summer heatwave then tore through Southern California, which dried out that new vegetation and turned it into kindling for the coming fire season. Surveying the devastation wrought by the 2017 epic fire season that stretched long beyond its usual wrap-up at the end of October, California Gov. Jerry Brown called extreme fire conditions “the new normal” under climate change. The Third National Climate Assessment, a consensus document produced by the federal government and mandated by Congress, predicted in 2014 that the U.S. Southwest, including California, will experience an increase in wildfire risk due to a number of factors. According to the report, “[I]ncreased heat, drought, and insect outbreaks, all linked to climate change,” pose a “huge challenge for regional management of . . . wildfire” in the American Southwest. From 1916 to 2003, climate change outweighed other factors in determining the total acreage burned, and scientific models predict up to a seventy-four percent increase in burned area in California by the end of the century under the most extreme climate change scenario. While no single wildfire can be attributed solely to climate change, new extremes precipitated by the earth’s changing climate can lead to more frequent and aggressive fires. Indeed, as compared to 1986, wildfires in the western United States have begun occurring nearly four times more often, burning more than six times the land area, and lasting almost five times as long. Of the twenty most destructive California wildfires since 1932, when the state began keeping records, eleven have occurred in the past ten years—and four of those took place just in 2017. But it’s not just climate change that increases the risk of wildfire destruction—it’s where and how people decide to live. The space “where houses and wildland vegetation meet,” also known as the wildland-urban interface (WUI), is among the highest at-risk areas in California when it comes to wildfire. In 2010, California had more people and homes located in the WUI than any other state in the continental United States—close to 4.5 million homes and 11 million people. The “fastest-growing land use type” in the continental United States, the WUI swelled by almost a thousand square miles in California alone between 1990 and 2000. Nationwide, sixty percent of all new home construction between 1990 and 2016 took place in the WUI. Across the country, the federal government owns or leases over 6,200 buildings located in the WUI, which President Obama sought to protect in 2016 by issuing a WUI building standard for federal facilities. California has been at the forefront of taking action to protect itself against wildfire risk. The preamble to its government code regarding fire hazard zones makes clear that wildfires pose a serious threat to the preservation of the public peace, health, and safety. Because “embers, or firebrands, travel far beyond the area impacted by the [wildfire] front . . . [they] pose a risk of ignition to a structure or fuel on a site for a longer time.” Cal Fire, the state agency responsible for fire protection, creates maps that reflect fire risk across the state, designating areas as moderate, high, or very-high-risk. The state still has lots of work to do to protect against wildfire. One place in need of immediate attention is the state’s mapping effort. Cal Fire’s maps, last updated in 2007, account for factors such as vegetation, fire history, and topography, but they don’t yet take into account future risk based on extreme weather conditions and climate change. These shortcomings leave local communities vulnerable to underestimating their wildfire risk—communities like Coffey Park in Santa Rosa. Coffey Park, comprised more of asphalt than scrub oak, largely considered itself safe from wildfires before 2017. In fact, when Santa Rosa adopted a “modified version” of Cal Fire’s 2007 fire maps, Coffey Park was excluded from the very-high-risk category. The neighborhood was therefore exempt from stricter state code requirements meant to keep it safe from conflagration. But the Tubbs Fire devoured Coffey Park overnight on October 10th, 2017, as well as the nearby enclave of Fountaingrove, which has now burned to the ground twice in just over fifty years. Some local officials wonder if they should rebuild Fountaingrove at all. 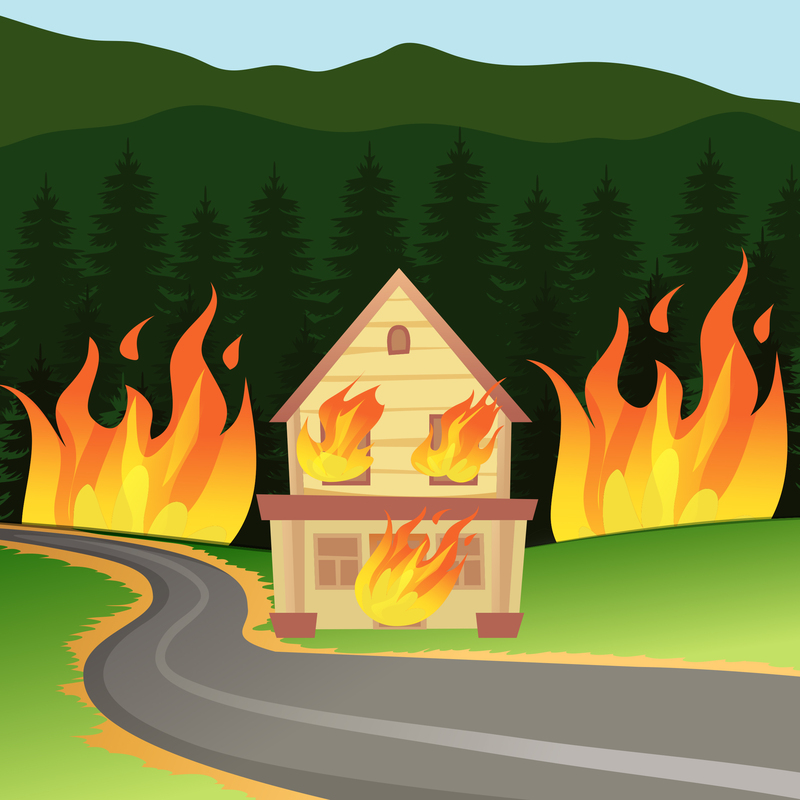 WUI fires differ from traditional wildfires and pose enormous challenges for firefighters. Researchers are beginning to learn more about what makes them so difficult to fight. In 2012, the Waldo Canyon Fire torched 344 homes in the Mountain Shadows Community of Colorado Springs, Colorado, turning ninety-five percent of them to ash in just six short hours. NIST studied the Waldo Canyon Fire for two years and documented their findings in a report that could inform California’s efforts to enhance resilience in the WUI. First, the report observed that WUI fires can create “cascading ignitions” wreaking havoc on buildings spaced too close together. Scientific research has confirmed that, over the past thirty years, housing density has consistently been one of the “most influential human factors” on wildfire ignition in Southern California. Fourth, aggressive pre-fire mitigation makes a world of difference in reducing communities’ wildfire risk. Cost-benefit analyses have shown that, on average, every $1 spent on mitigating the risk of WUI fires up front saves between $3 and $4 in damages. In some neighborhoods affected by the Waldo Canyon Fire, that cost-benefit ratio was as high as 1:257. Fires that take place in the WUI, different as they are from traditional wildfires, can play a role in increasing firefighting costs. 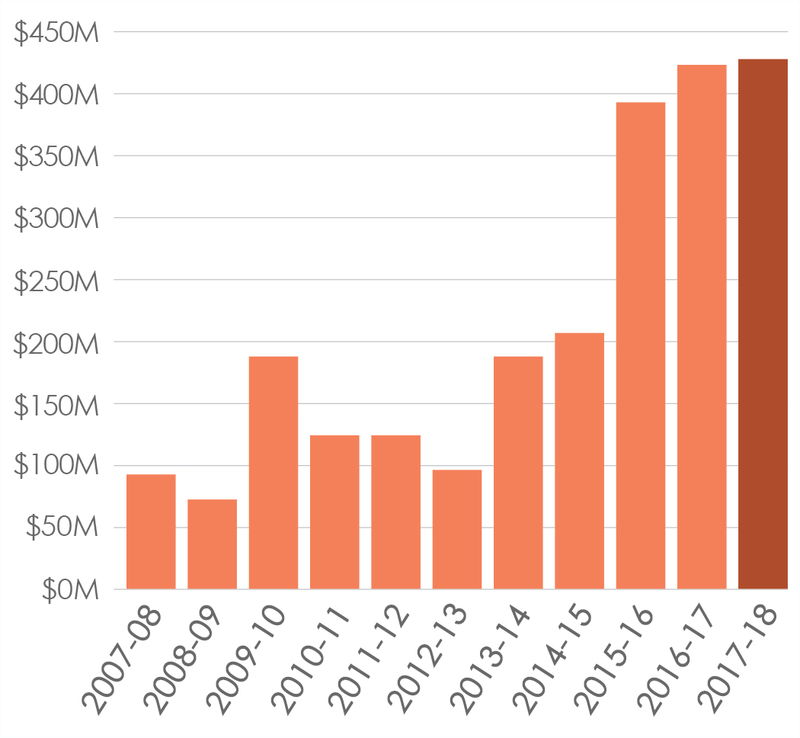 Last year’s fires set a state record for firefighting costs, which have steadily taken up a larger and larger chunk of spending over the years. In light of the accelerating risk and cost of fires in the WUI, California has a choice. The state can get serious about reducing wildfire risk—or not. Policy recommendations to reduce California’s risk include: updating the state’s map of fire hazard zones on a regular, frequent basis and incorporating the effects of future climate change on fire risk when designating fire hazard zones; regularly monitoring compliance and increasing enforcement of building codes with special attention to fire prevention measures in very-high-risk fire hazard severity zones; developing firefighter response time thresholds based on WUI-specific exposures and vulnerabilities; increasing outreach to homeowners regarding their risks and incorporating scientifically informed knowledge of wildfires into public awareness information regarding the risk of fires in the WUI; exploring the creation of incentive mechanisms to increase fire prevention measures in older homes such as replacement of wood shake roofs and wooden soffits; exploring the creation of incentive mechanisms to reduce further development in at-risk areas; increasing WUI firefighting training; improving early warning systems to inform residents of fires; and establishing clear evacuation routes and designing communities to ensure multiple ingress and egress routes. Wildfire has always been a part of the California landscape. When Spanish conquistadores first glimpsed the coast of modern-day Los Angeles on October 8th, 1542, they likely expected some clear sign of prosperity. Perhaps the mythical glimmer of the Seven Cities of Gold or the fabled Strait of Anián that could carry ships through to Asia. Instead, the Spanish encountered a pall of smoke that billowed up from raging wildfires on land and hung like a shroud over the blackened sky. They named the place where they laid anchor the “Bay of Smoke.” Hundreds of years later, on the exact same day, October 8th, the Tubbs Fire ignited and began its tear across California’s wine country. Devastating fires are nothing new in California state history, and from everything we know, they will remain a constant force. However, a future filled with more and more destructive wildfires, each outdoing the last, is not inevitable. The state can make choices now that will help keep it safer in the future. Alice C. Hill is a Hoover Institution research fellow specializing in building resilience to destabilize catastrophic events, including the impacts of climate change. Prior to joining Hoover, she served as Special Assistant to President Obama and Senior Director for Resilience for the National Security Council. William Kakenmaster is a Hoover Institution research assistant. A graduate of American University, he was editor-in-chief of the school’s research journal, Clocks and Clouds, and founder and executive editor of its undergraduate policy magazine, the World Mind. Speaking of climate change, after a vote by the California Energy Commission, California is now the first state to make solar panels mandatory on most newly-built homes—the latest effort to ensure that at least half of California’s electricity comes from noncarbon-producing sources by 2030. At present, roughly one in five Golden State single-family homes are constructed with solar capacity built in. The new mandate applies to all dwellings up to three stories in height that obtain building permits starting in the next decade. Exceptions could be made for homes shaded by trees or buildings, or homes with roofs too small to accommodate solar panels. Meanwhile, debate continues over the Crimson solar project east of Joshua Tree National Park, near the Arizona border. If completed, it would constitute 350 megawatts of solar power—triple the size of Tesla’s 100-megawatt Powerpack “battery” at a wind farm north of Adelaide in South Australia (a second battery Down Under is in the works). But there’s a snag to the California dreaming: as the land sits near the Colorado River Indian Tribes Reservation, state and federal officials will have to strike a balance between energy independence and native culture.